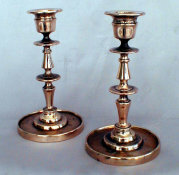 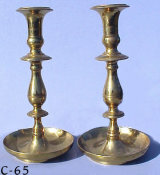 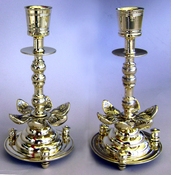 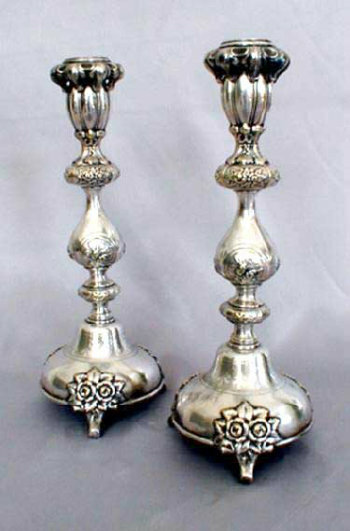 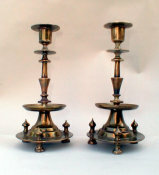 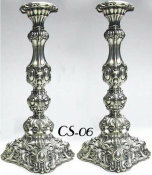 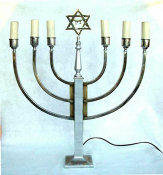 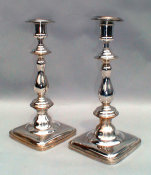 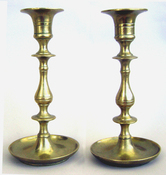 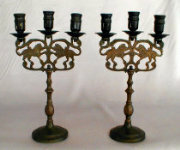 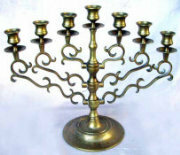 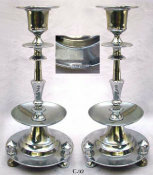 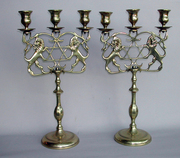 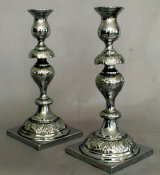 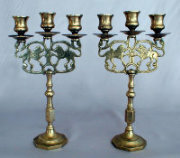 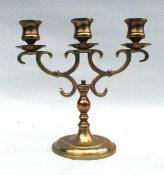 A beautiful pair of Sabbath candlesticks. 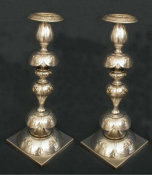 Bell shaped bases supported by floral bouquet feet. 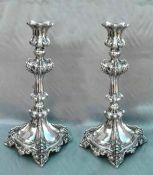 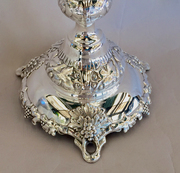 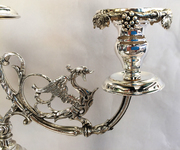 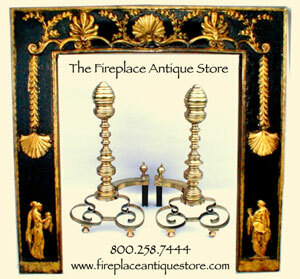 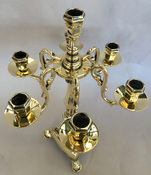 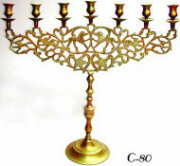 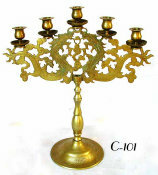 Baluster stem punctuated by floral motif knops above and below rising to unusually shaped bud form candleholders with intricately fitted draped leaf form bobeche. 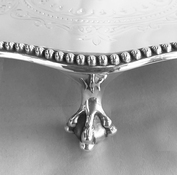 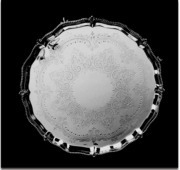 Engraved Anthemion detail on base. 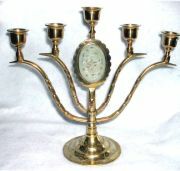 Marked "Norblin & Co. Galw: Warszawa" with swan & star maker's marks.